Ongoing Professional Development is one of the foundation pillars which underpin the Ultimate Youth Worker. However, it can be hard to gain enough GOOD development opportunities for us to grow in our abilities and careers. This can be difficult when our orginisations have such small professional development budgets, there is a shortage of worthwhile training and its hard to find the time to get away from the office. So how can we deal with these issues and still gain great develolpment??? Read a book! So with the myriad of books out there how do you get a good one??? Our friends at ManagerTools have provided a great little framework. When you come across a book in a shop dont just grab it because the title was good. Don’t grab it because you like the look of a couple of chapter headings flick through a few of the pages and find three great ideas. What you consider a great idea may not be the same as the next person but three makes sure you are getting a top read. For me its looking for three ideas I can impliment immediately in my own practice. There are millions of books on amazon and at the time of this post there were 25,693 books which came up when I typed in youth work to there search engine. But don’t stop there. Read widely! Look at counselling skills, mental health, group work or any number of other areas of practice. There was a story a few years back that may have been apocryphal but why ruin a good story. Apparently George W. Bush Jr read 95 books in one year whilst President of the United States of America. Some believe this to be a bit of a fishing story however if it is even half true then one of the busiest men in the world was still able to out read most people hands down. How is your reading collection going? I currently have six books on the go as well as a number of journals (probably about my limit whilst retaining info). My Bedside table looks like a bomb went off. My professional development is my responsibility and reading a book is the easiest and most readily available mode. It is hard to find time, money or a good book. But as our friends at Manager Tools say, reading is one of the most important things a person needs to do each week. 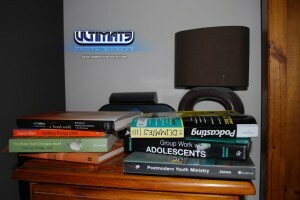 Don’t forget to sign up for our newsletter and you will be kept up to date on all the goings on at Ultimate Youth Worker. Just add your details to the form at the top right of this page it’s all you need to do. You can also sign up to have each of our blog posts sent straight to your email by adding your email to the subscribe button on your right. And by all means leave us a comment below or post a comment on facebook and twitter. It is a supportive community that makes us Ultimate Youth Workers. 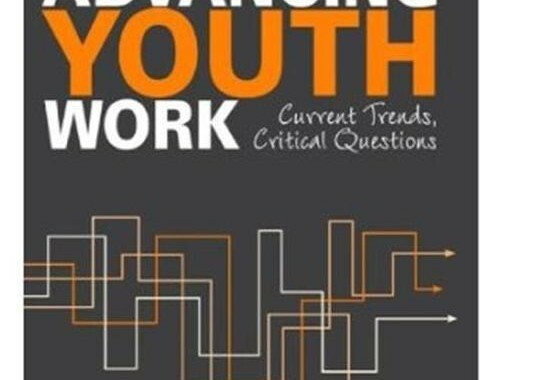 Posted in Uncategorized and tagged Education, pillars of sucessful youth work, professional development, Youth Ministry, Youth Work, Youth Worker. Great reminder of the importance of reading books and not just reading stuff we find on the net which while extremely useful often does not go deep enough! Books are a fantastic resource that i wish i had grown up realising. I drugged through my undergrad hating reading. When i finished and had time to read again i couldn’t help myself, and read extensively. We as a profession need to perpetuate a habit of knowledge gathering. Knowledge is power and we need all the political clout we can muster.